You want your business to grow and become successful, but have you really planned for the success? If you think about your business as a long-term investment, will you be able to maintain your business before getting burned out? These are questions you should ask yourself as you are setting your goals and setting up your business plan. When you grow your business to the income level you want, that often means it will be more time-consuming. If you’re not ready for it, success can overwhelm you and affect you regarding your quality of work, customer expectations, time crunch, etc. You need a plan in place not only for when you reach that success but also to grow your business and scale even bigger. Take time to work on your business rather than in it. In the beginning, you will probably do all of the work yourself. As soon as you start earning some money, you need to set aside a budget for outsourcing. It can be intimidating to think about hiring people at first. Will they be able to do the work as you do? How will you train them appropriately? How much should you pay them? While it can be stressful to think about letting go of some of your tasks, you may find that some people are experts in the exact things you need to get off of your plate. You’ll be able to hire others to do the tedious tasks so you can focus more attention on what you are great at. Also, plan to increase that budget as you increase your earnings. Start looking for assistants (virtual or in-person), writers, marketing experts, and other hired help as soon as possible. Don’t wait until you need them or have the budget to hire them. You want to start looking for people you can delegate tasks to as soon as possible. If you have them on your radar now you’ll be ready to hire as soon as the time comes. Social media is a great place to find these people. You can follow their updates and learn if they are someone you want to work with. When it comes time to start outsourcing work, you’ll already have some people in mind. Other types of people you want to keep in mind are tech experts, accountants, and others specific to your type of business. Marketing and social media tasks are one of the easiest things to outsource. It can be very beneficial to have someone who keeps up with small updates, shares your links and other similar tasks. You’ll get some much needed time back, your own work will be higher quality, and you’ll have a little less to stress over. Outsourcing social media can be so beneficial, but you’ll still want to post something a bit more personal from time to time to let your customers know you are still the face of the brand. Create systems as you go so you can train the people you hire. They need to know how you do things with step by step instructions. If you create these systems in the beginning, it’s much easier to train people once you hire them. I’ve used a task management software called Asana. It allows you to create teams, delegate tasks, create deadlines, and keep track of who is working on what. It also integrates seamlessly with Google calendar so you can always stay up to date with progress. Planning ahead for success helps make achieving your goals possible and wonderful instead of filling you with anxiety. Getting systems in place and planning for the support you need will make it much easier when the time comes and you are ready to take your business to the next level! Building a brand around yourself helps build your know, like, and trust factor. These are things that you need if you want people to be willing to buy from you and/or share with others. One easy way to build trust with potential customers is to create a community of loyal followers. Facebook groups are a great way to start building a community of fans that want to follow you and hear what you have to say! Using a highly engaging Facebook group to build a community of loyal customers who WANT to buy and are brand loyal FANS is a great step in the right direction. Whenever you’re ready, here is how I can help you. 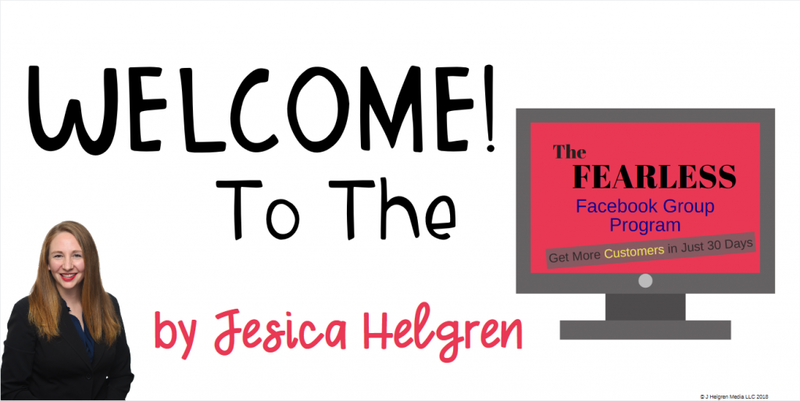 Enroll in my online course, The Fearless FB Group Program, for crafters who want to build a loyal community of customers and scale their business. JOIN HERE! PreviousAre You Kitten Me Right Meow? DIY Coasters with Vinyl!